Pigeon-Blood Red is an interracial crime novel but it is, first and foremost, a crime novel. At its centre is the theft of a priceless pigeon-blood red ruby necklace. That theft sets in motion the novel's action and, together with the hunt to find the necklace, it pushes the action forward. The crime also brings together the novel's disparate characters, each of whom contributes something different to the story, but the ethnicity of the characters is incidental to the plot. In other words, with minor exceptions, a reader would not know whether a given character was white or black if the character weren't described as such. On this latter point, permit me a slight digression. When an author doesn't point out a character's ethnicity, the widely accepted default position is that the character is white. I haven't done a scientific study but I think this statement is true. 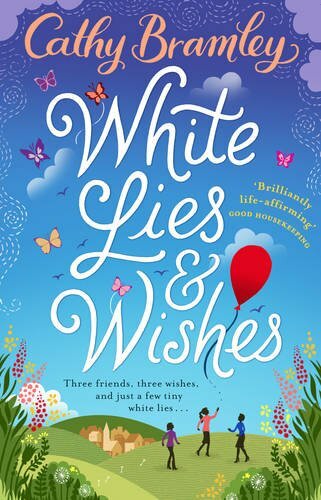 Therefore, even where race or ethnicity is an issue in a novel, the author expects his readers to assume that all of the characters are white unless the writer says a particular character is black or describes him or her as such. This default position is a little trickier to handle where the novel's setting is a place where blacks predominate, such as Africa or certain countries in the Caribbean like Jamaica. In those cases, authors do often specifically point out when a character is white to distinguish that character from the predominant group. My novel takes place in Chicago and Honolulu, so I have adhered to the default position by directly pointing out when a character is black or by indicating it by describing the colour of the character's skin. "After an unfaithful husband and his lover try to double-cross a loan shark, they endanger the lives of the man's unsuspecting wife and an old flame who comes to her rescue. Pursued by a "killer with a conscience," the wife and her newly found protector must decide what to do with a stolen ruby necklace worth millions. And their pursuer must decide what to do with them: murder them as ordered - although one of them saved his life - or refuse and risk the life of the woman he loves." The unfaithful husband and his lover are both black, as are the unsuspecting wife and the old flame, while the loan shark and the killer with a conscience are white. Race is irrelevant to these characters as they react to the theft of the necklace and as they interact with each other. Therefore, pointing out their race in the description of the novel adds nothing. This is not to say that race might not have been relevant to a different set of characters I might have imagined. It could have, just not in this novel. But wait for the sequel! The second question is whether a realistic interracial crime novel can be written where race is merely incidental to the story. My answer is yes because Pigeon-Blood Red is that novel. That said, I do in fact mention race in the novel, but only a few times and then only tangentially. Addressing it, if only incidentally, was a bow to reality. Regrettably, at this time and place in our history, it is very difficult to ignore race completely. Perhaps it will not always be so. 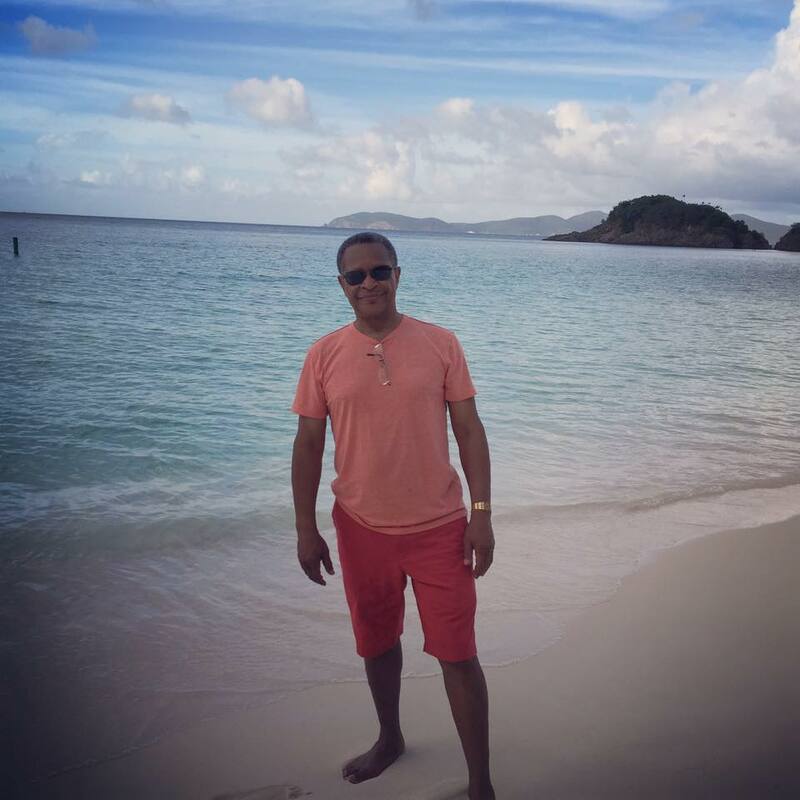 Ed Duncan is a graduate of Oberlin College and Northwestern University Law School. He was a partner at a national law firm in Cleveland, Ohio for many years. He currently lives outside of Cleveland and is at work on the second instalment in the Pigeon-Blood Red trilogy. For more information about Ed and his work, visit his website or connect with him on Facebook, Twitter or Goodreads. If you think Pigeon-Blood Red sounds interesting, then you're in luck, as I've kindly been given a copy to give away to one lucky reader. To enter, please use the Rafflecopter widget below. Please note, this is a US only giveaway. Giveaway closes on 5th February 2017 at 11.59pm (GMT). 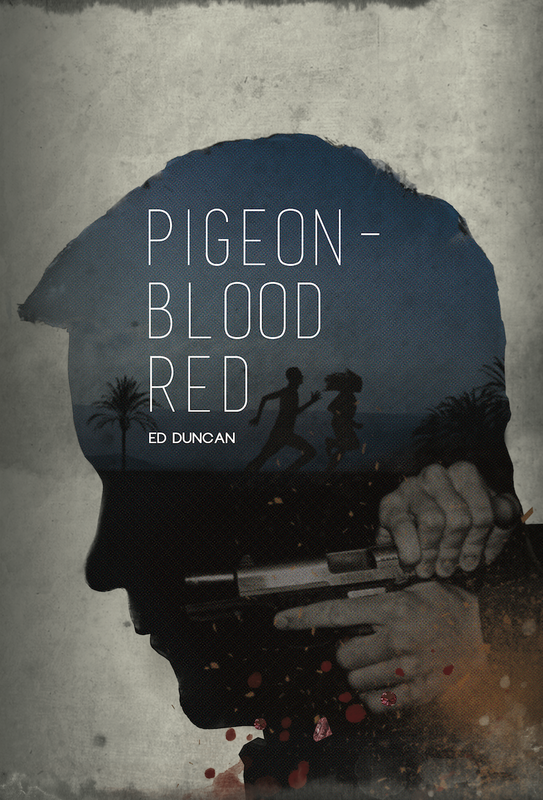 The prize consists of one paperback or Kindle copy (winner's choice) of Pigeon-Blood Red by Ed Duncan. Upon confirmation of the winner's address, the prize will be sent to the winner by the promoter, NOT The Writing Greyhound. The winner will be randomly generated by Rafflecopter once the giveaway has ended. The winner will be informed by email once the giveaway has ended. The winner will have 72 hours to claim their prize. If the winner has not responded by this time, another winner will be announced. Pigeon-Blood Red is available to buy now. Today I am super pleased to be able to bring you an interview with historical romance author Faye Hall, ahead of the release of her latest novel, Deceit and Devotion. 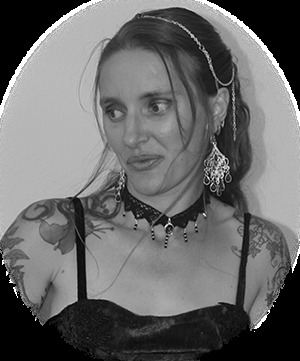 My name is Faye Hall and I’m a published author of steamy historical romantic suspense stories set in the beautiful coastal towns of 19th Century Australia. I currently have six titles available from Beachwalk Press and Red Sage Publishing. I’ve written stories ever since I can remember. I got really dedicated, though, towards the end of High School when my then English teacher told me I would never amount to a decent writer. That gave me the drive to want to prove him wrong. I love happily ever afters. But more so I love putting the characters’ lives through turmoil and knowing that no matter what I put them through they will always end up with the love of their life. To me, that’s something very important and not something often allowed in people’s real lives. I love history. A few years back, I did my own family’s history and how they came to Australia. It made me wonder about the struggles these families must have gone through together and how they were lucky enough to have a love to survive it all. Tell me about Deceit and Devotion. My newest release Deceit and Devotion is a complex tale of a young half-caste aboriginal man, Jarrah, who is hired to seduce a white man’s wife. In turn, the wife, Emily, hires Jarrah to spy on her husband and find his connection to her father’s missing black opal collection. The relationship that develops between Jarrah and Emily is a very controversial one and was very taboo in the 19th century. Do you find it difficult to write about race, as it can be such a sensitive topic? Yes! I find it very hard to write about race as there is so much tension and controversy surrounding the racial past of Australia. My husband is always my greatest inspiration and he is always letting me rebound ideas off him and he often gives me ideas for new stories. It’s very scattered. I have a large family so writing happens when and if I can. I’ve also got very used to writing with constant interruptions. Usually, the beginning is the hardest for me to write. I never quite know where to start. More often than not, by the time I’ve written the ending, I need to go back and rewrite the first few chapters to tie everything in. I love creating the characters with all their different personalities. That would have to be my favourite part by far. Love Amanda Quick! She has always been my greatest inspiration. Never give up and learn to take criticism. Don’t take too much to heart and just keep writing if that’s what you love. I would love to have multiple best sellers. A book called Heart of Stone – a story about an Australian slave trader who becomes entangled with an Irish slave. Deceit and Devotion is available to buy now. To find out more about Faye and her work, visit her website or find her on Facebook. Have you read any of Faye's books? Let me know in the comments below! I stood on the shores of the Zambezi River as a spark for a story pierced my soul. After three weeks of travelling across the country, witnessing the reality of those forgotten by the world, and facing a major change in my career, I knew that one day I'd write about this place. Little did I know that it would be years before I found the courage to write my first novel, The Disillusioned. I was so afraid of failing to capture the story that I wrote the novel without telling anyone. When it was finished, I reached out to a friend in the TV industry and her response encouraged me to step out in faith and publish. I share this with you because those days on the Zambezi defined my passion as a storyteller. What I discovered throughout the writing process, was that using my experiences of travelling to the poorest places in the world fuelled my drive to create the Guardian novels, a series filled with mystery, suspense, and adventure. All of those were aspects of the story, but from the first novel the reality of the fight against human trafficking was an underlying thread throughout. It's one reason why I've defined this series as cause-driven novels. My hope is that readers will be entertained, but will also be inspired to make a difference in the world when they flip that last page. Writing the second novel, Waking Lazarus, was challenging to continue in the cause-driven storytelling style. To capture this story in a unique way, the novel spans nearly a century as readers are taken back to the 1920s and then return to the present day on a global adventure. 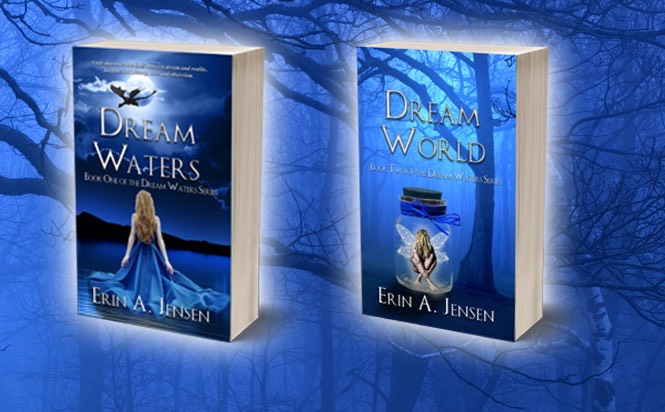 It also pushes readers further into the world of child slavery, poverty, and the darkness of secrets. I'm humbled that the Guardian novels, and the cause-driven storytelling style, have garnered the attention of Hollywood's elite. "The Disillusioned is a fast-paced mystery... you won't put it down until you've unlocked the secrets and lies to find the truth." - Judith McCreary, Co-Executive Producer, Law & Order: SVU, Criminal Minds, & CSI. "Waking Lazarus is a captivating visual story with a colourful narrative. Once I started reading, it was hard to put down." - Peter Anderson, Oscar Winner, Cinematographer. I'm writing my third novel, The Auctioneer, and experimenting with ways to continue in telling stories that raise awareness for causes and issues around the world. It's like writing layers, where the story that draws readers in leads to a deeper place that travels the road between fiction and reality. My hope is that others who are passionate about storytelling will embrace this same approach and will write books that not only entertain, but also challenge readers beyond the last page. For more information, visit his website. Waking Lazarus is available to buy now. What do you think about the concept of cause-driven books? Let me know in the comments below! 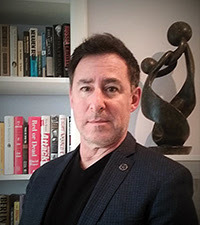 This morning, author Jeffrey H. Konis is stopping by the blog for a chat about his life, his writing, and the release of his new semi-biographical book. I'm a married father of two boys, with a joint J.D./MBA degree. After practising law for many years, I went back to school to get my master's degree in education and became a high school social studies teacher (the primary, though not sole reason was because I would never see my children grow up had I remained an attorney). I lived in NYC for about half of my adult life; I am now back where I grew up, about 50 miles north-west of NYC, near my parents. I first got into writing when I would write my own birthday, father's day, and other occasion cards for my family. Everyone, including people who would not compliment me so freely, thought I was a good writer. As I enjoyed writing so much, I decided to believe, delusionally or otherwise, that maybe they were right. This is only my second book, however. The first, From Courtroom to Classroom: Making a Case for Good Teaching, was published in 2008 and offers a late-career changer's perspective on teaching adolescents. 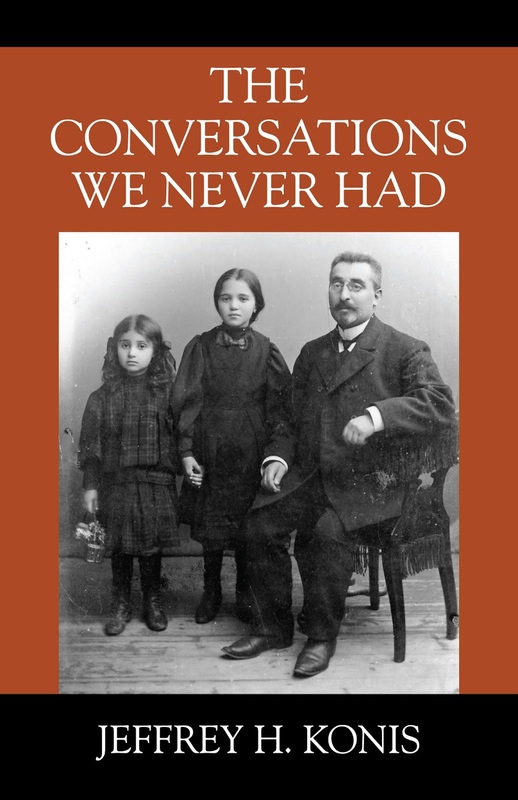 The book is about the lost opportunity to ask my grandmother (actually, my dad's aunt) about my real grandparents who had perished just before and during the Holocaust. I had lived with her for over two years and, like my dad, had never asked her questions about the past. My father is an only child and she was the last person on earth who could have told me so much about my dad's background. 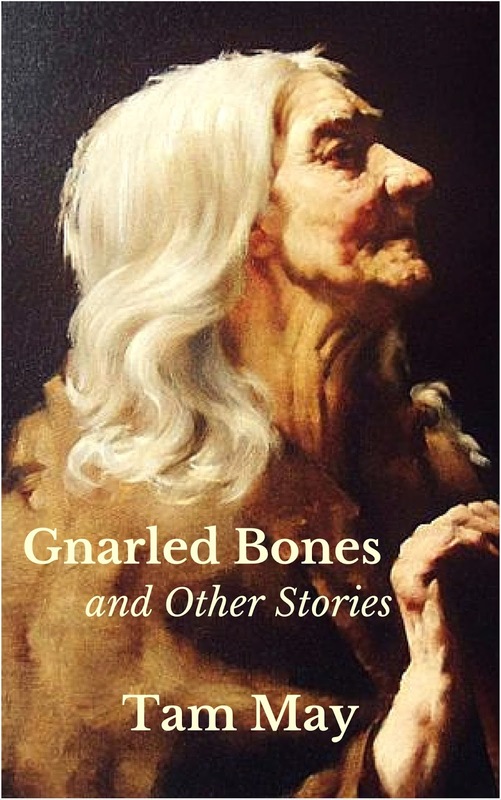 This book is a chronicle of my time with my Grandma Ola and an imagining of the stories she might have shared had I only took the time to ask her the questions. I hope that readers take away that - as I write in the book - the time we have with the elderly among us does not include forever, that we need to spend time with our older relatives and talk to them, listen to what they have to say. Such conversations will serve to provide some insight into how you got to be who you are today. My writing process entails sitting in my living room and writing longhand in a journal from Japan with the most beautiful paper - yes, I am quite tactile. I later will type up sections on the computer, editing along the way. I will then print out the pages and work on them, again, longhand; then repeat the process. The hardest thing about writing is isolating yourself from your family and friends for long periods of time but you have to do this. You must be alone with your thoughts, I believe, to adequately articulate them on paper. The freedom to express myself in the most intimate fashion. When I write, at the end of the day, I am simply having a conversation with myself; the process, to me, represents an endeavour to understand most deeply who I am. The incredible J.M. Coetzee who had the unimaginable audacity to write as Dostoevsky his Master of St. Petersburg; Hemingway, whose writing puts you right in the scenes he describes in his writing, and Fitzgerald: "So he waited, listening for a moment to the tuning-fork that had been struck upon a star;" who writes like this? Just beautiful - I had quoted this fragment along with the next few lines, from Gatsby, to my wife on our first New Year's Eve. Just as we were about to share our first kiss, she started crying! Details, details, details - and honesty in your work. I think the more honest you are with yourself, the more interesting readers will find you. The Brothers Karamazov. The writing, the story and the ideas combined into one piece of work is simply remarkable. They are modest, to say the least, as I am first and foremost a school teacher who practices law on the side. I came to writing rather late in life. I do wish, at times, that I had made a greater effort pursuing it as a potential career in my younger days. Do you prefer reading e-books or traditional books? Traditional books - I need to examine the cover, feel the paper. I prefer self-publishing because of the fact that the author owns the rights to his works. There was a traditional publisher who was interested in my first book and the first thing they told me was that they would likely change the title of the book. That title had come to me in such a moment of clarity and inspiration and was just perfect given the substance of the book. I then realised I would lose complete control over the book. This is something I don't think I could ever do. I am in the middle of reading City of Dreams, a 400-year history of immigrant New York City. Fascinating. Next up is Jonathan Safran Foer's latest novel, Here I Am. To find out more about the author, follow him on Facebook, Twitter, or Goodreads. The Conversations We Never Had is available to buy now. What conversation do you wish you'd had the chance to have? Let me know in the comments below! I am very pleased to welcome John Murray and Abby Jones to the blog to talk about their new book Code Name: Papa, the thriller/biography of John's life. Read on to find out all about the pair and the extraordinary tale that inspired the book. Welcome to the blog! John - tell me about yourself. I was a fairly ordinary kid. I got average grades in school, first became a police officer and then an enlisted soldier during the War in Vietnam. I’ve always had very strong feelings about helping people, my country and the world. I met two friends in boot camp who immediately felt like my brothers - which they were for the rest of their lives. One of them had a very powerful father in New York, the original Papa. I was chosen by Papa to take over his position before he died. As your readers will see in the book, beyond that time, I never had a normal life. In the book, your readers will see the many sacrifices my team and I made on behalf of world safety. Abby: I’m the working writer in the group. This is my fifth book and I write for magazines as well. John is the storyteller - and what a story he has to tell of his amazing life! But, this book would not have been possible without the encouragement from John’s wife and my long-time friend, Sharon, who finally convinced John that his story needed to be told. 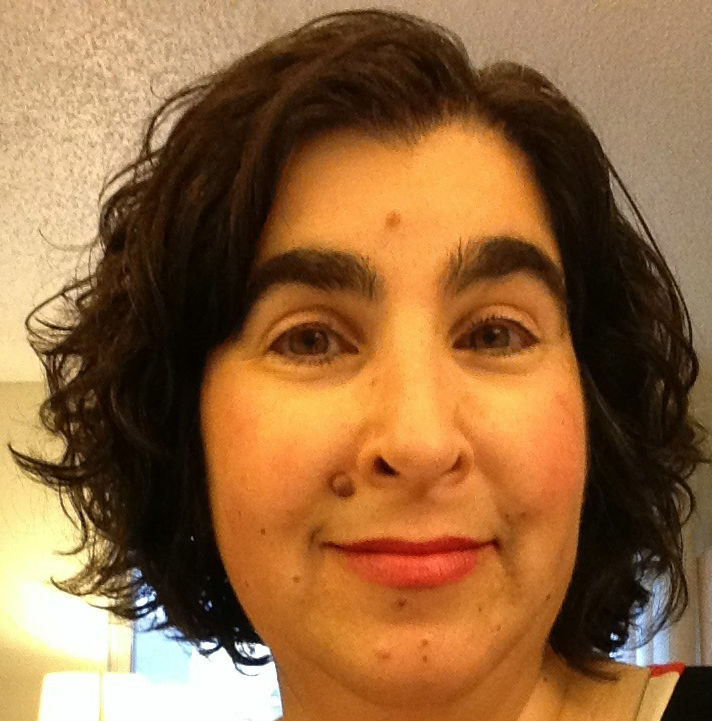 Sadly, along with many family members and friends, we lost Sharon this summer to a rare form of cancer. It’s still very hard to believe that she’s gone and we all miss her so much. Abby: The book is getting great reviews and we are truly happy to hear from our readers. 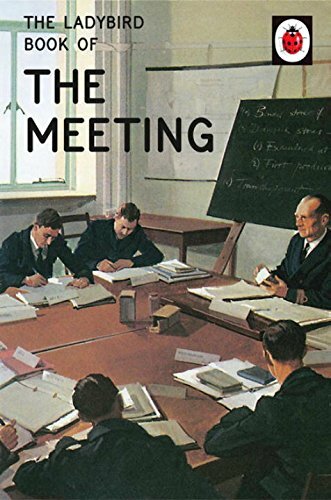 The book quickly reviews John’s (Papa’s) early life, then moves on to his association with a secretive international group and their work on behalf of world order with the blessings of their countries (mostly in Europe, plus Canada and the US). In 43 chapters, Papa talks about their training and many of their missions. The book is truly a wild ride… and all true. Only names and some places have been changed to protect the families of those involved (most of whom are now gone). One of the aspects that our readers seem to enjoy is the fact that the book also looks at the personal lives of several agents, including Papa. 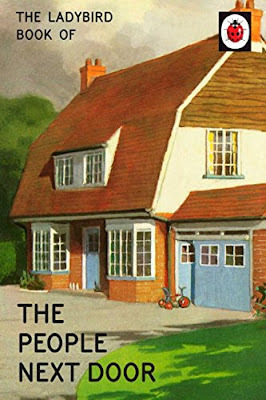 Their home lives were almost non-existent at times and their marriages and families suffered, as the agents did, by the requirements of their jobs. 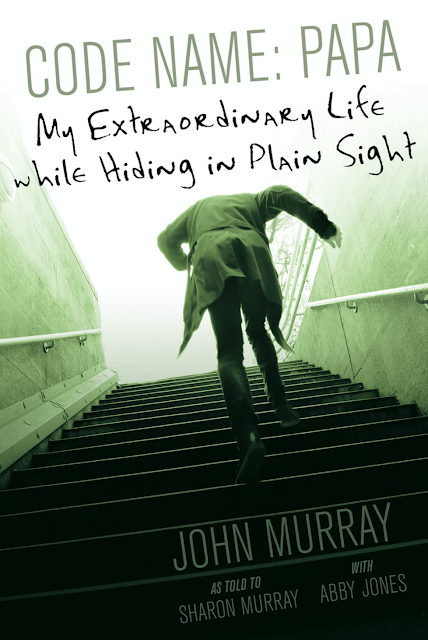 John: I used to wake up from nightmares in a panic with night sweats. Finally, Sharon, who I married just a few years ago, encouraged me to tell her my story. She was fascinated and suggested she take notes and we then put it away. However, she soon felt that the story was one that people needed to know. Transparency is important in today’s world. 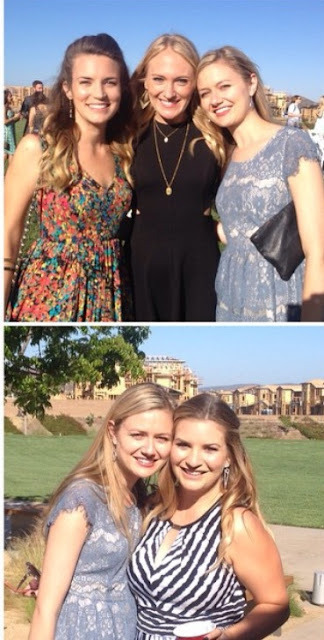 We contacted Sharon’s friend, Abby, to advise us. She agreed to work with us and we worked hard for eighteen months to put my story together. It was Abby’s goal to never loose my distinct voice or any of the facts in the book through the long process. Luckily she was able to accomplish that. Is the story fictional or based on real events? All true, except the names and a few of the places. Readers in the UK will likely be fascinated with the chapter,“Out of This World” about what thousands in southern England thought was a UFO sighting. Now, decades later, the facts are laid plain. How do you plan for the book to educate readers? John: There is so much secrecy in all governments. This book takes a look at some interesting and often gruesome things that take place to fix bad situations and sometimes eliminate bad people both within and outside of governments. What’s your writing process and where’s your favourite place to write? 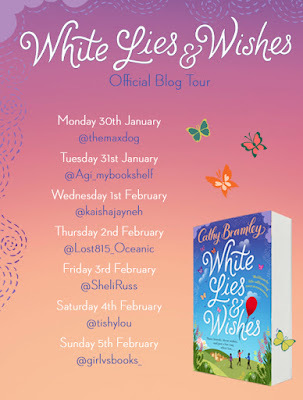 Abby: Luckily, where and how you choose to write is very adaptable. I write at all times of the day and sometimes night at my home in California. I have two desks and move back and forth between them. However, part of the book was written when I lived in New York. I’ve also written parts of this story in a quiet library and in my home garden. So, like Papa in our book, the writing of Code Name: Papa moved around a lot, too! Which authors inspire you and what’s your all-time favourite book? John: My favourite book is Doctor Zhivago by Boris Pasternak. I enjoy reading many types of fiction and non-fiction. Abby: My favourite book is To Kill a Mockingbird by Harper Lee. 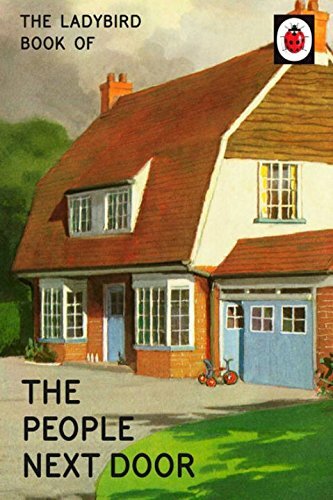 As a child, I accidently picked up Daphne Du Maurier’s Rebecca at the library, thinking I was bringing home Rebecca of Sunnybrook Farm. 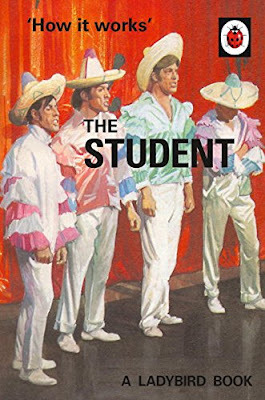 It was a fascinating read for my young, naïve mind. I believe she truly inspired me to write. Abby: Yes - Go for it and write what inspires you! However, don’t turn down boring projects offered to you when you first start, because each project helps you develop your focus and skills. You don’t really need a backup plan, just a second source of income to help support your passion for writing. Oh, and you’re never too young or too old to become a writer. John: Amen to all of that! Abby: I’m blessed to be able at this point, after slightly more than twenty years, to be able to write what I like - both books and magazine articles. For new writers, I would suggest picking two to five topics that interest you the most and work on developing those through research and your writing skills. However, your career may surprise you with detours and even complete changes in direction. I started by writing about food and home trends. I still love that, but my career has moved far away from both. John: Well, I’m an accidental writer who is now working on book two about my life with a likely third one planned. I’d hoped to be doing a lot more fishing at this point. And I love spending time with my children and grandchildren. 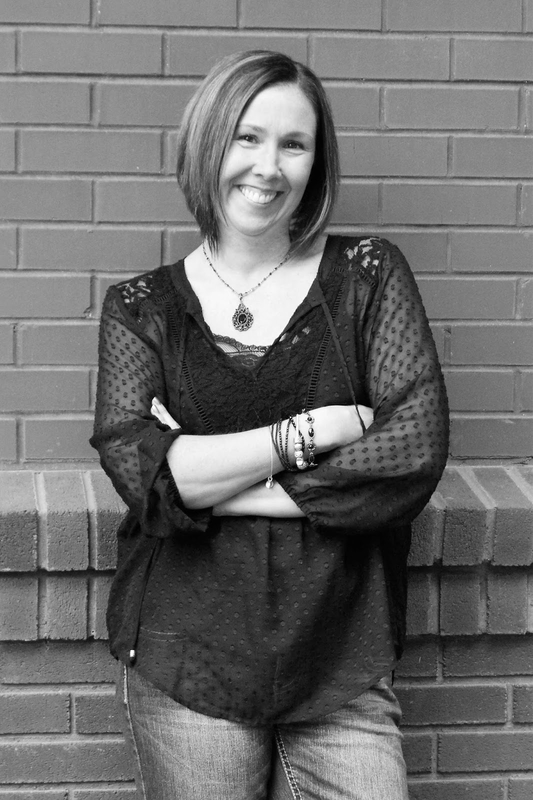 Abby: I have a true entrepreneurial spirit, so I’d likely be creating a style and design website and running with that. John: Our second book is about the many interesting, intelligent women who passed through my life and career. Their crucial roles and sacrifices need to be honoured - and that is our goal with this book. Younger readers may not fully understand that in covert operations, female agents were almost unheard of in the 1960s and ‘70s. They were trailblazers for women in many related fields, including police work. I think our readers will find these brave women fascinating! Abby: I prefer traditional publishing, but I’m very excited about what is happening online, which is allowing many more voices to be readily heard. This is my third book that is offered in traditional format and as an e-book. The others were all traditional. I’ve always worked with traditional publishers before. But, for security reasons, this book needed a lot of control over John’s privacy, Sharon’s and mine, as well. (We are using pseudonyms.) Subsequently, we used Simon & Schuster’s self-publishing imprint for book one. But, self-publishing requires wearing a lot of extra hats and much more time. Abby: I always have two or three books I’m reading at a time. Currently, they are On the Shoulder of Giants: My Journey Through the Harlem Renaissance by Kareem Abdul-Jabbar (basketball great and fascinating writer), and Exodus: A Memoir by Deborah Feldman. I’ve got about twenty others I’ll be so excited to read, but writing takes up a lot of my reading time! John: I’ve been so involved with book two recently that - sadly - I’m too busy to read right now. I look forward to sitting down with a good read soon. We really appreciate you and others in your field allowing us to talk about the book. If readers want to read a few snippets and see some interesting photos, they can go to our website. Code Name: Papa is available to buy now. Like many book-lovers out there, I love discovering new bookish products and designs to fill my home. I recently redecorated my room, which gave me the perfect opportunity to get creative and search out some gorgeous literary inspiration. This research made me fall in love with some of the most stunning literary-inspired art and quote prints out there. As I have neither the money nor space to buy them all, I've picked out a few of my favourites to share with you! 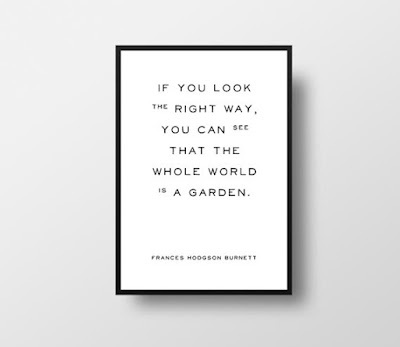 Simple but striking, this super stylish quote print features the wise words of author Frances Hodgson Burnett - "If you look the right way, you can see that the whole world is a garden". Ideal for those who love gardening as much as books, this print is the perfect addition to a minimalist design. There are many Alice in Wonderland inspired prints and pieces of artwork out there, but this is one of the best I've seen. It's eye-catching and bold, with a special kind of charm all of its own. 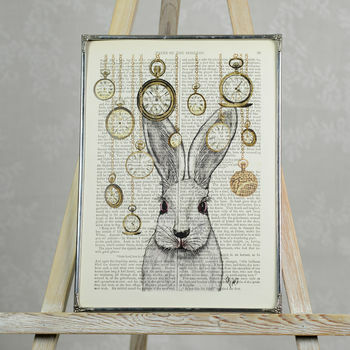 It's vintage and whimsical, printed directly onto an original page from the book. No two prints are exactly the same, meaning that each one is completely unique! 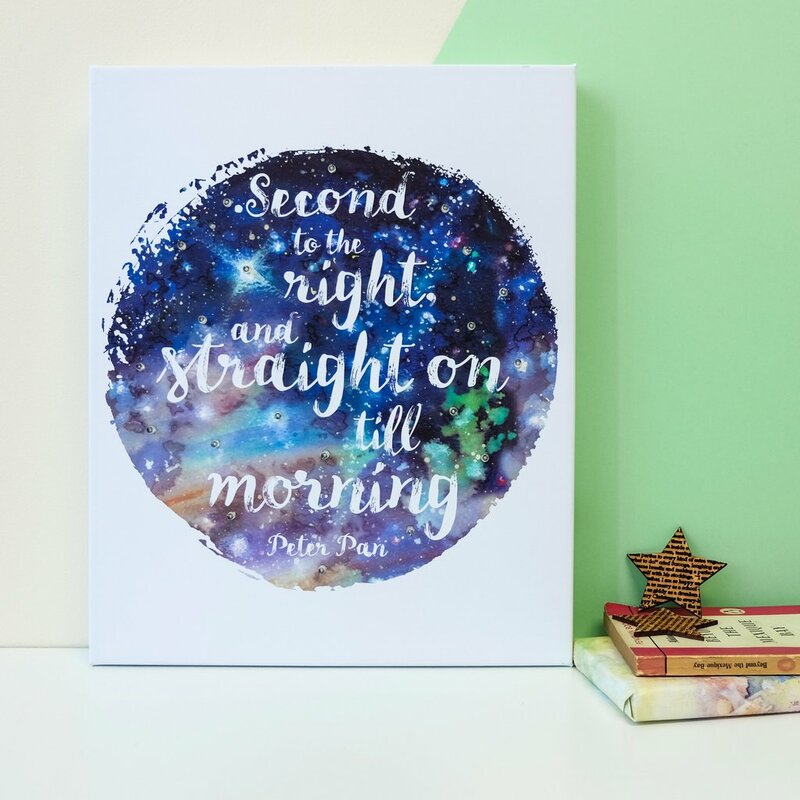 I have a major crush on Bookishly products (so much so that I - unsuccessfully - applied to work there a while back) and this Peter Pan canvas is one of the best. The print features the famous quote, "second to the right, and straight on till morning," against a gorgeous backdrop of the starry night sky. 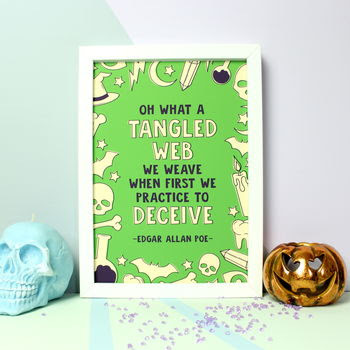 This spooky Halloween themed quote is taken from Edgar Allan Poe's The Raven and Other Poems. It's quirky and original, offering a more modern option than some of my other picks. Its bold colours and comic graphics are sure to make it stand out, wherever you chose to put it. Last but not least, we come to Winnie the Pooh. This classic and much-loved children's character is the perfect addition to the home, and this stunning print is one of my favourites. 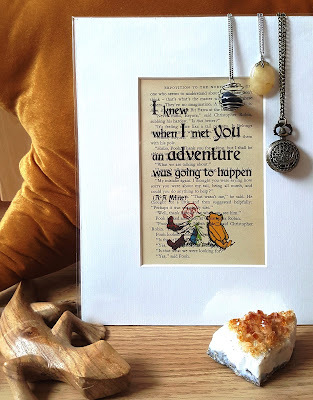 Printed directly onto a vintage page from a Pooh book, this quote reads, "I knew when I met you an adventure was going to happen". It's sweet, touching, and would make the ideal gift. If you love this Winnie the Pooh quote print as much as I do, you're in luck, as I have one to give away to one lucky reader. Simply enter via the Rafflecopter widget below for your chance to win! 1. Giveaway closes on 22nd January 2017 at 11.59pm (GMT). 2. The prize consists of one Winnie the Pooh print as seen above. 3. 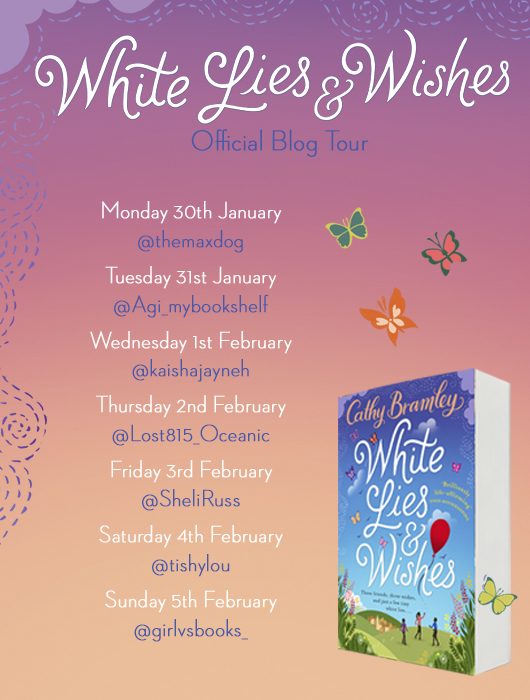 This giveaway is open to residents of the UK aged 18 and over. 4. The winner will be randomly generated once the giveaway has ended. 5. The winner will be informed by email once the giveaway has ended. 6. The winner will have 72 hours to claim their prize. If the winner has not responded by this time, another winner will be announced. Which of my picks is your favourite? Let me know in the comments below! 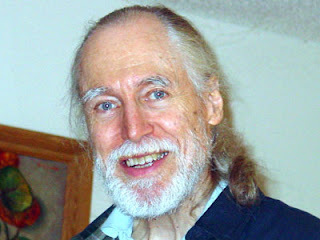 Author Piers Anthony is stopping by the blog today for a chat about his writing world. Enjoy! Hi, Piers! Who are your favourite authors? If I lost my memory and had my choice of reading matter, I hope my favourite would be Piers Anthony. I try to write what I would like to read. As for other authors, I have admired many in the Science Fiction and Fantasy fields, from Robert A Heinlein on down. I am also an admirer of the plays of George Bernard Shaw, and not just because he was a vegetarian. For me, the best thing is getting to exercise my imagination and being independent. I can’t be fired for someone else’s mistakes. I approve of self-publishing. In the old days only about one aspiring writer in a hundred could ever get anything published. That led to bigger sales for the one percent and tough luck for the 99%. I prefer that every writer has a chance. 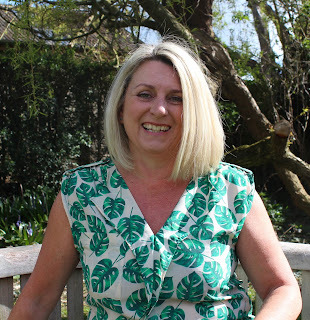 That’s why I have worked to make self-publishing possible for anyone, notably by my early investment in Xlibris – I am no longer connected – and my ongoing survey of electronic publishers. The playing field will probably never be level, but it’s better than it was. Traditional publishers had dictatorial power for over a century. Now it’s the writers’ turn. I needed to decide on my college major. I pondered a day and a night, and it came to me: I wanted to be a writer. It was like a light turning on and it has guided me ever since. Do your family support your writing career? My wife supported me. She went to work so I could stay home and try to be a writer. That was when I broke through with my first story sale – for $20. But it led to greater things, in time. What's your favourite line from a movie? Great lines in movies are myriad, but it’s the quiet personal ones that get to me the most that others may not even notice. There was one whose title I don’t remember, where a man, a widower, got a girlfriend he was considering marrying. His early teen daughter lived with him. When the woman made them a meal, the man told the teen to do the dishes. The girlfriend intervened. “No, she doesn’t have to do that. I’ll do it.” Why? “She’s your daughter and I want her to like me.” That disarming candour surely ensured that the girl would like the woman. What do you like to snack on while you write? I maintain my college weight, and I exercise seriously. I don’t eat between meals. I’m pretty fit for my age, pushing 82, and mean to stay that way. What is the funniest thing you’ve been asked during an interview? Sometimes I do learn things from my fan mail . I had a suicidally depressive girl in one of my novels (Virtual Mode, if you must know) who regularly cut her wrists so that they bled. So she wore red bands on her wrists to conceal the blood. 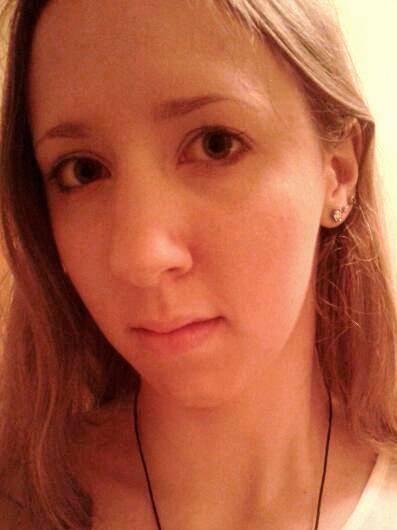 A reader wrote that I had it wrong: blood dries black, so she needed black wristlets. I suspect she spoke from experience. 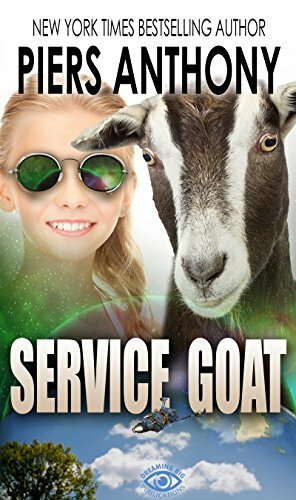 Piers Anthony's latest book, Service Goat, is available to buy now. Regular readers of the blog may remember that I recently collaborated with father-son writing duo Lance and James Morcan to promote their novel White Spirit. 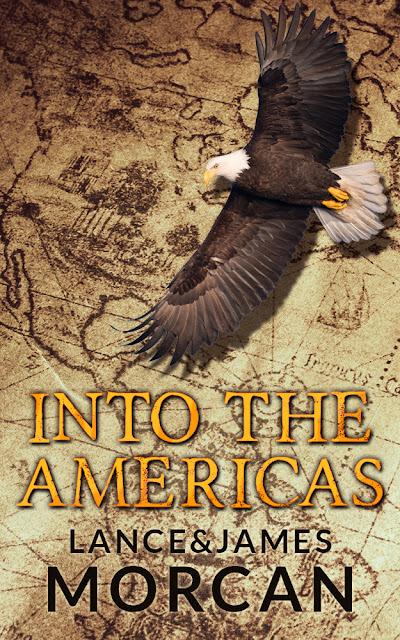 As that post proved to be such a success, today we're teaming up again to tell you about another of their novels - Into the Americas. The novel is a tale of two vastly different cultures – Indigenous North American and European civilisation – colliding head on. It also has a strong romantic subplot. Nineteen-year-old blacksmith John Jewitt is one of only two survivors after his crewmates clash with the fierce Mowachaht tribe in the Pacific Northwest. A life of slavery awaits John and his fellow survivor, a belligerent American sailmaker, in a village ruled by the iron fist of Maquina, the all-powerful chief. Desperate to taste freedom again, they make several doomed escape attempts over mountains and sea. Only their value to the tribe and John’s relationship with Maquina prevents their captors from killing them. As the seasons' pass, John ‘goes Indian’ after falling in love with Eu-stochee, a beautiful maiden. This further alienates him from his fellow captive whose defiance leads to violent consequences. In the bloodshed that follows, John discovers another side to himself – a side he never knew existed and a side he detests. His desire to be reunited with the family and friends he left behind returns even stronger than before. The stakes rise when John learns Eu-stochee is pregnant. When a final opportunity to escape arises, he must choose between returning to civilisation or staying with Eu-stochee and their newborn son. Into the Americas is available to buy now. Lance and James have kindly offered an ecopy of the book to one lucky reader. Simply enter using the Rafflecopter widget below. Giveaway closes on 18th January 2017 at 11.59pm (GMT). The prize consists of one ecopy of Into the Americas by Lance and James Morcan. 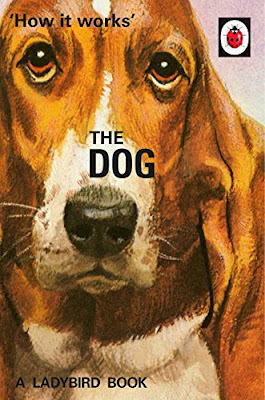 Upon confirmation of the winner's address, the prize will be sent to the winner by the authors, NOT The Writing Greyhound.